Home » Whatever happened to WordStar? 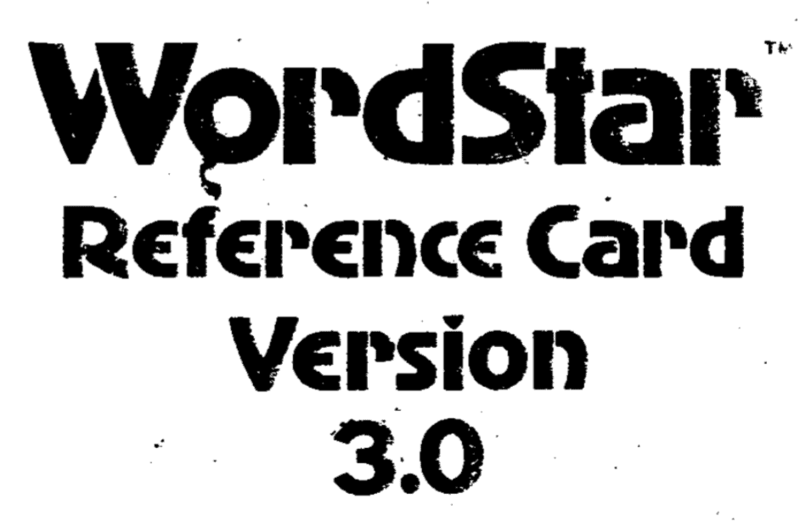 Going through some old box files this afternoon I’ve just found my copy of the WordStar Reference Card from the 1980’s. I’ve scanned it as a keepsake now and you can find the PDF below. It’s amazing how many of these command key combinations can still be found today in various editors especially those on Unix style platforms. Many of these are fixed in my memory from nearly 30 years ago, but then WordStar was the first real word processor I used, followed very briefly by WordCraft. I then moved onto Word Perfect 5.1 on MS/Dos and then Word on Windows. These days I still use Word for compatibility with clients but for personal work I’m more than happy with Apple Pages. What are your memories of the early days of Word Processing?